Computer crashes are time-consuming, costly and inevitable. To help alleviate the complexities and frustrations of rectifying a system failure, most manufacturers now include a system restore disk with each machine. These disks are relatively quick and effective in restoring a system to its initial state. However, this leaves administrators and users with an essentially "clean slate" with all of the user's data, program settings, bookmarks, documents and other important files erased. Reconfiguring your system back to working order takes additional time, but an even more critical challenge is recovering your lost data. Damaged hard drives can be salvaged up to a point - and the larger the disk, the longer it will take. But invariably, some sectors are irrecoverably damaged or corrupted, which means some of your data may be lost forever. The entire process of recovering lost data, restoring a system to its initial state and reconfiguring from scratch can amount to hours or even days of lost productivity. The best way to mitigate the disastrous loss of time and money to a system crash is by regularly backing up the computer's system along with the most critical project files and data. Working from a backup will not only safeguard your valuable data, but it will also allow you to bypass the disk recovery process, which is the most intensive part of recovering a system. 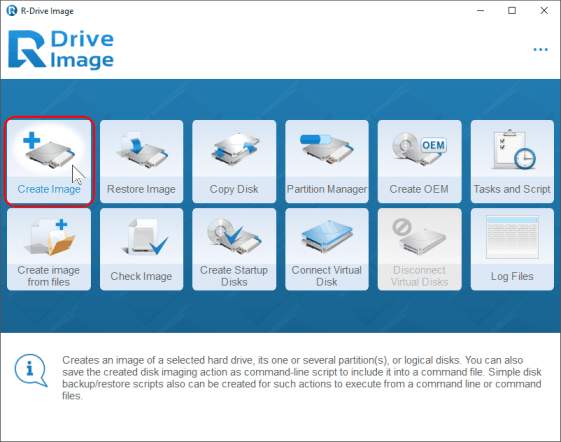 This article will show you how to use R-Drive Image to create regular backups which will allow you to quickly and safely restore your system and important data after a system crash. * User-friendly Wizard Interface. The wizard-style user interface walks you through the entire process, making both routine and complex data backups incredibly simple. The task-oriented wizard ensures that all important parameters are accounted for, even if a user isn't sure what each one means. * Multiple backup media format support. Choose from external USB, flash memory card, CD or DVD; Particularly useful for netbooks, which typically lack optical disc drives. Thumb drive backups are now large enough to accommodate both the startup disk and the backup image file, allowing for quick system restores on-the-go. * Time and space saving features. 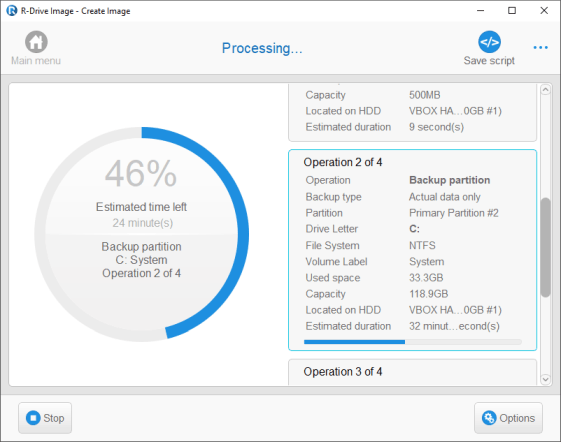 Differential and incremental backups, image file compression and other features help keep disk space requirements low and backup times quick without compromising the consistency of the data for long term storage. * Access to individual files and folders stored in an image file. Disk image files can be mounted as read-only drives that can be accessed by Windows Explorer or any other file exploration tools. 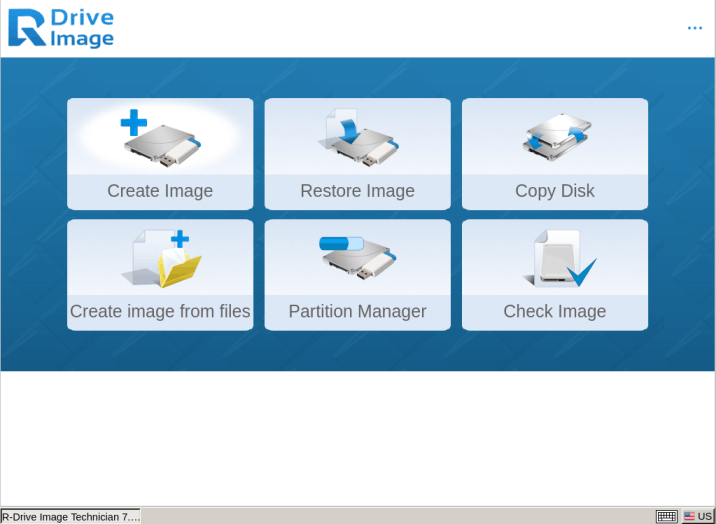 Before you begin, make sure that R-Drive Image is already installed and registered on your machine. Internal disk: 60 GB split into two partitions: the system disk C: (40 GB) and D: (20 GB). External disk: 465 GB USB drive for system disk backup. Create a startup disk. This will be used to start the computer in order to recover the system disk from an image file. Backup the system disk to an image file. 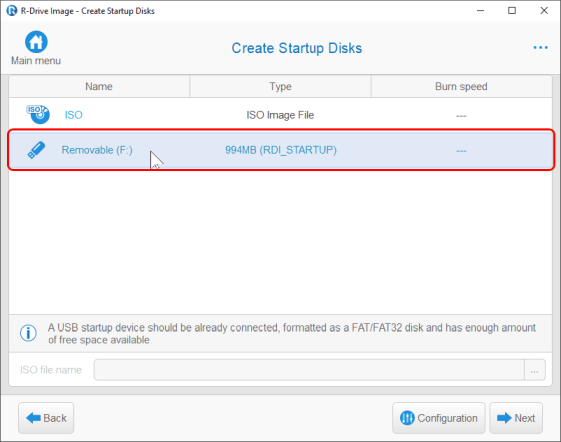 After a crash, the system can be started using the startup disk and then recovered from the backup image file.
. Startup disks can be written to a CD or DVD, a removable USB drive or two floppy disks. For this tutorial, we'll use a USB flash drive. 1. Connect a FAT/FAT32-formatted USB flash drive. Note: Existing data on the device will not be overwritten. 2. 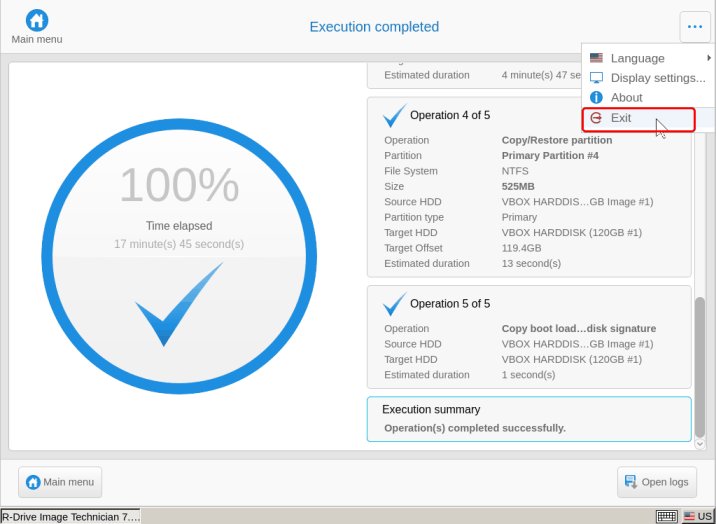 Select Create Startup Disk on the Action Selection panel. 3. From the Removable Storage Device Selection panel, choose your target disk. Click Next. 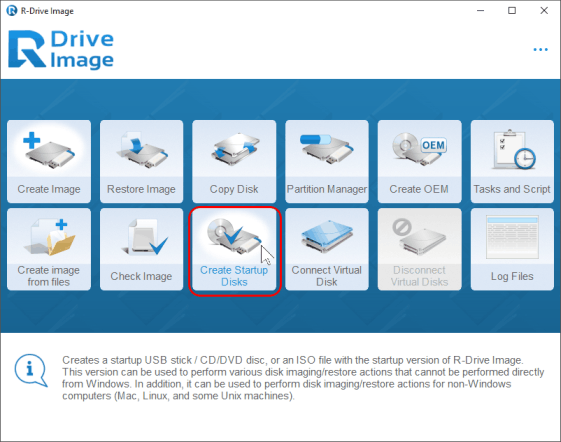 R-Drive Image will begin creating the startup disk on the selected USB drive. When it is finished, you'll see a message notifying you that the startup disk was created successfully. (More information is available in the R-Drive Image help: Create an Image). 1. From the Action Selection panel, click Create an Image. 2. 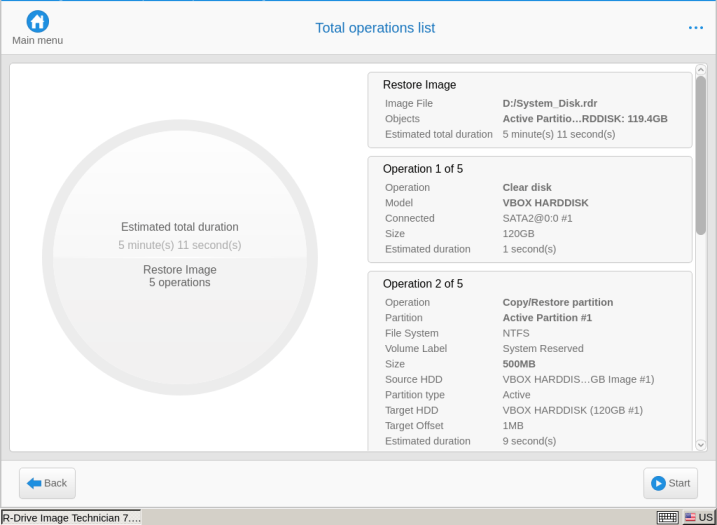 Select the first active partition and disk C: on the Partition Selection panel. Important: Windows 7 creates a small active partition for its loader in addition to the system disk. Don't forget to backup it too when creating a system disk image for computer recovery. Earlier versions of Windows (e.g. XP and Vista) do not have an active partition - only the system disk must be backed up. 3. Specify a destination and file name for the image file on the Image Destination panel. In this example, we are saving the system disk images to the System_Disk_Backups folder on the external USB Drive: F:\System_Disk_Backups. If an image file already exists in the folder your selected, the Imaging Mode panel will appear. You can either replace (overwrite) the existing image file with a new one or append changes to the existing image. Append changes differentially to the existing image Appended changes will be those between the saved full image and the current state. If there is no full image, it will be created instead. Differential files work as standalone backups-only one differential file is needed when restoring data. Each differential file restores your data completely to the current state at the time of the backup. Append changes incrementally to the existing image Appended changes will be those between the last saved changes and the current state. If there is no full image, it will be created instead. Incremental files rely on all previous backups-you will need all incremental and differential backup files created up to the instance to which you want to restore. Replace the existing image file with a new one All data in the image file will be replaced with the current one. Note: If you wish to only backup the latest instance, use the Append changes differentially option and delete all previous differential files to keep file sizes small. If you intend to keep all instances, use the Append changes incrementally option for the smallest file size. Important: If a differential file is damaged, only the data for that instance will be damaged. On the other hand, if an incremental file is damaged, all subsequent backup instances will also be damaged until the next full or differential backup, since incremental files rely on previous backup files. 4. 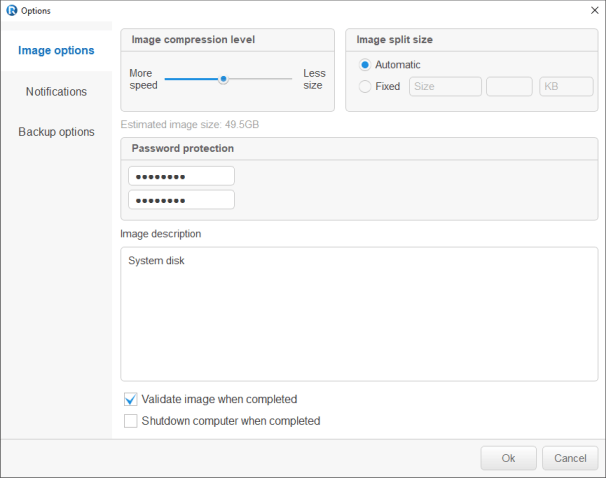 Configure your settings on the Image Options panel and click Next. See below for an explanation of the image options. Image name: Shows the file name for the image. You cannot change the file name on this panel. 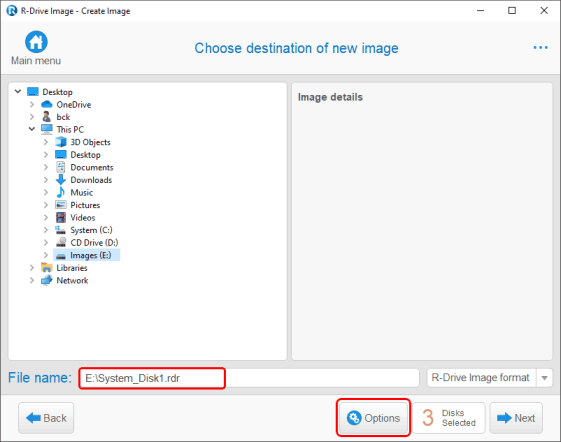 Check the image file immediately upon its creation Select this option if your want R-Drive Image to verify that the newly created file image was created successfully and without errors. This may be useful for storing image files with critical data. Please note that this operation requires additional time. Image compression ratio You can compress the image data to reduce the file size. Higher image compression ratios create smaller file sizes but take longer to process while lower image compression ratios process faster but create larger files. Backup type Sector by sector backup will create an image of the entire disk, including empty space. The Backup actual data only option will only backup sectors that contain useful data. The latter option only supports the following file systems: FAT, exFAT, NTFS, HFS/HFS+, Little and Big Endian variants of UFS1/UFS2 and Ext2/Ext3/Ext4 FS (Linux). Estimated size Shows the estimated size of the image file. The actual image size depends on the empty space and file types that exist on the selected partition. Image split size Choose Automatic to let Windows decide how to split the image file according to the file system on the destination disk. Alternately, you can specify the split size or select the Fixed option to choose a preset split size based on the type of device or removable storage you are using. Password You may protect your image file with a password. Note: This feature provides a relatively moderate protection against conventional unauthorized access. Image description You may attach a text description to the image for annotation. Maximum length of the description is 255 characters. 5. 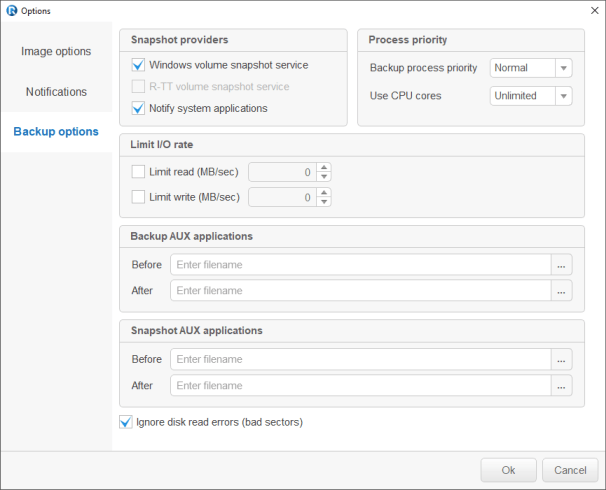 Configure your settings on the Backup Options panel and click Next. Snapshot provider A snapshot provider is a service R-Drive Image uses to read the disk content while creating its image. R-Drive Image uses the snapshot providers in the order specified on the tab. If it fails to use the first one selected, it will attempt to use the second one, and so on. Windows Volume Snapshot Service If this check box is selected, R-Drive Image will try to use the Windows native snapshot provider. This snapshot provider is able to notify system applications that a snapshot is being taken. If this option is selected, pagefile.sys and hibernate.sys files are excluded from the image of the system disk and Windows will create them from the scratch during its first startup. R-TT Volume Snapshot Service If this check box is selected, R-Drive Image will try to use R-TT snapshot provider. This snapshot provider is not able to notify system applications that a snapshot is being taken. Notify system applications If this check box is selected, the snapshot provider will notify system applications that a snapshot is being taken. This option is only available to snapshot providers which support this feature. Backup AUX applications R-Drive Image is able to make applications run before and after all backup operations. Please note that these applications should return a 0 exit code. If you are unsure what this means, leave these fields blank. 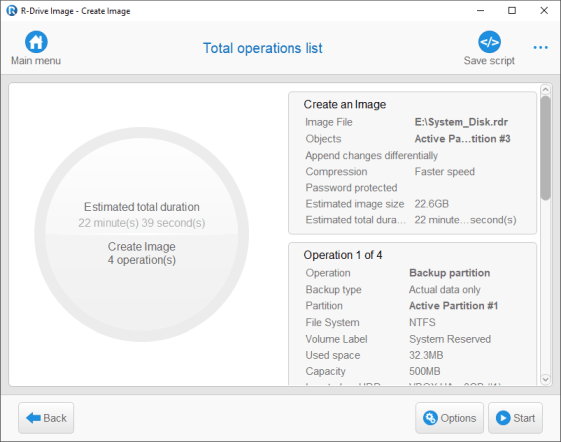 Before This allows you to choose an application for R-Drive Image to run before the backup operations begin. If you need to start several applications, you may use a command file. Example: "cmd.exe /c example.bat"
After This allows you to choose an application for R-Drive Image to run after the backup operations complete. If you need to start several applications, you may use a command file. "cmd.exe /c example.bat"
Snapshot AUX applications R-Drive Image is able to make applications run before and after taking the snapshot of one or several volumes. Please note that those application should return a 0 exit code. Leave these fields blank if in doubt. Before An application R-Drive Image runs before it takes the snapshot of one or several volumes. If you need to start several applications, you may use a command file. "cmd.exe /c example.bat"
After An application R-Drive Image runs after it takes the snapshot of one or several volumes. If you need to start several applications, you may use a command file. "cmd.exe /c example.bat"
Save as default Click this button to save the current settings as the default settings. Reset Click this button to reset to the default settings. Restore defaults Click this button to restore the original default settings. You may leave these settings unchanged it you are going to create a simple backup of the system disk. 6. Verify that the information on the Processing panel is correct and click the Start button. 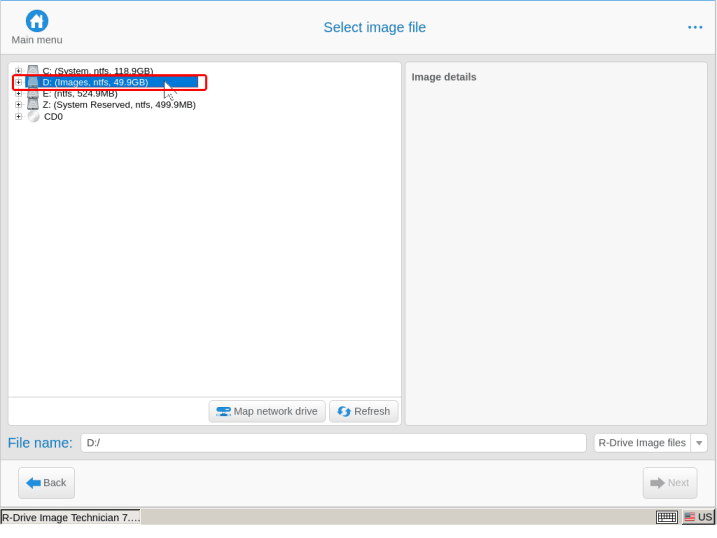 R-Drive Image will start creating the image file. The Progress bar will show the progress of the current operation and the overall process. When the process is complete, you will be notified that the image has been created successfully. Only the startup version of R-Drive Image can be used to recover the system disk of a computer. 1. 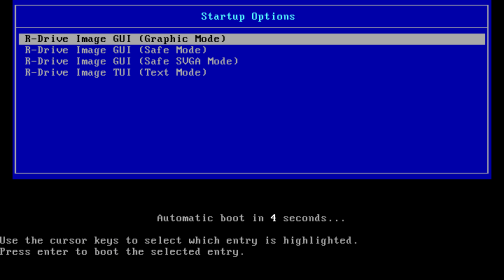 Make sure that the first startup device in the system BIOS is the required drive. Refer to the computer's documentation for details. Next, R-Drive Image will launch. The first screen you see will be the License Agreement. 3. 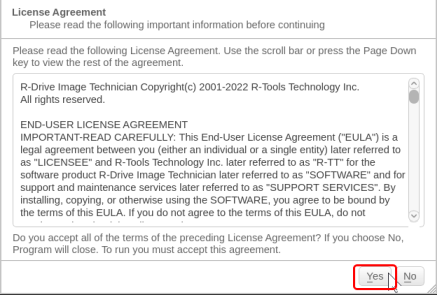 Read over the License Agreement and click Agree or press the Enter key on the keyboard. This will bring you to the Select an action panel. Navigate through the program by using the mouse or keyboard. Use the Tab key to switch between the control areas and the arrow keys to select options within the control areas. Press the Enter key to activate the selected button. You may also activate a button by pressing the highlighted letter key. You may exit the program by pressing the x key. 4. 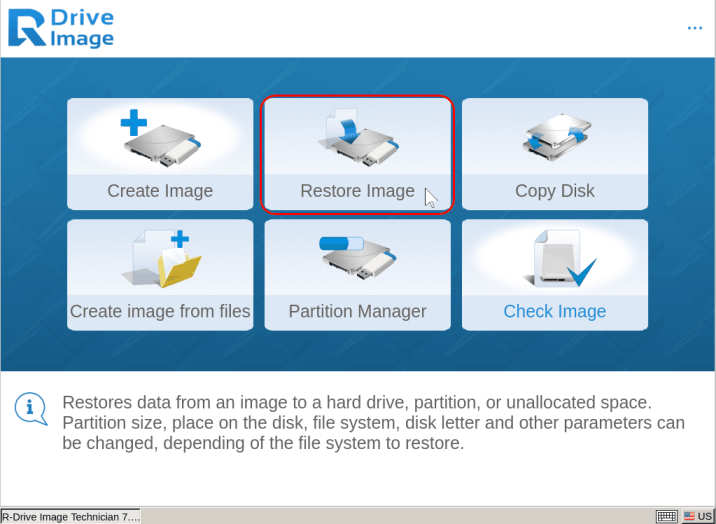 Select Restore from an Image and click Next. 5. On the Open an Image File panel, choose the backup disk (the external USB drive). This will be the image file from which the system disk is recovered. Locate the system disk image by browsing the external USB drive. Recall that the image file was saved as System_Disk_C.arc in the D:/System_Disk_Backups/ folder. Select it and choose OK. 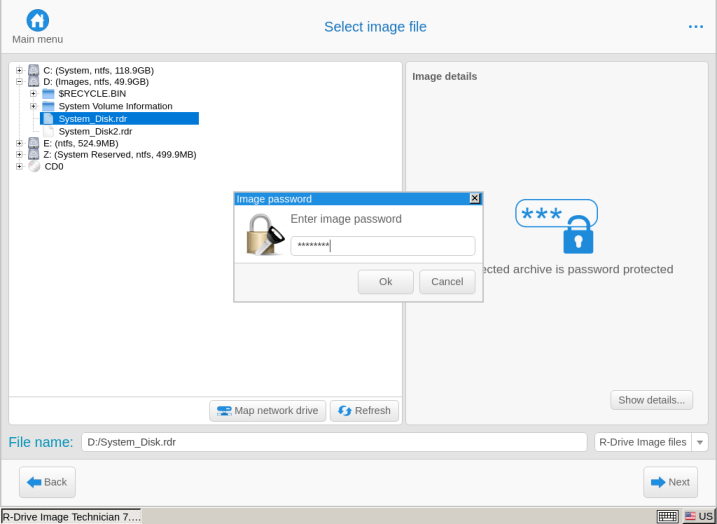 If the file is password-protected, R-Drive Image will ask for its password. If the file contains images of several dates, select the date to which you want to recover the system disk and click the Next button. In this example, we'll begin recovering data from the additional system partition. 6. Select the System Reserved object (the additional system partition) in the image file and click the Next button. Note: Recall that this additional system partition is specific to Windows 7. When recovering Windows 9x. Millenium, NT, XP, or Vista, there'll be no such partition, and you'll need to recover only the system disk itself. 7. Select the first partition on the drive (System Reserved) as the destination for system recovery and click the Next button. Before the process begins, a warning message will appear notifying you that all data on the partition will be overwritten and lost. This message appears even when writing to a corrupted disk. 7. Check and change the parameters (if necessary) on the Copy/restore options panel, and click the Next button. Most likely you won't have to change anything. 8. Verify that the information on the Processing panel is correct and click the Next button. 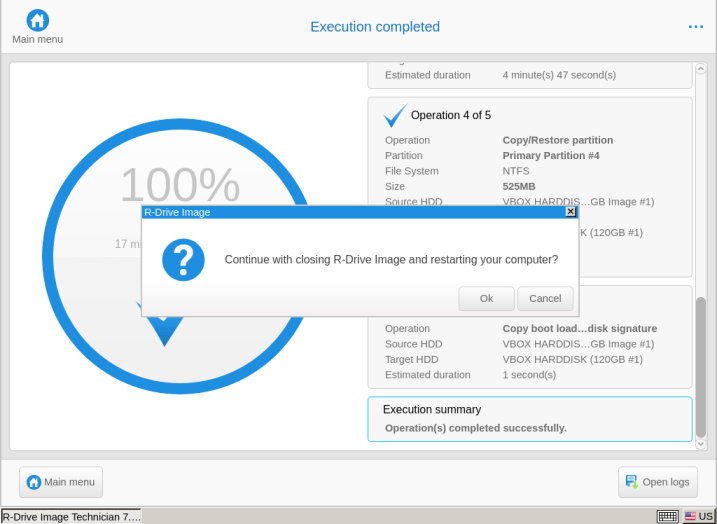 R-Drive Image will start recovering data to the additional system partition. When the process is finished, you will be notified that the Operation completed successfully. Click the OK button and R-Drive Image will jump to its Select an action panel. Now we'll recover the system disk itself. 1. Once again, select Restore from an Image on the Select an action panel and browse to the same image file (System_Disk_C.arc in the D:/System_Disk_Backups/ folder). 2. 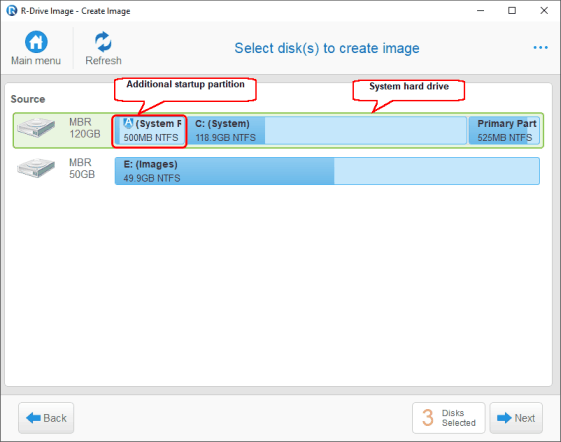 Now select C: Primary Partition (the system disk) in the image file and click Next. 3. Select the Primary Partition on the drive as the destination for system recovery and click the Next button. 4. Again, recovering data to an existing, though corrupted, partition, will prompt a warning message. 5. Check and change the parameters (if necessary) on the Copy/restore options panel, and click the Next button. 6. Verify that the information on the Processing panel is correct and click the Next button. 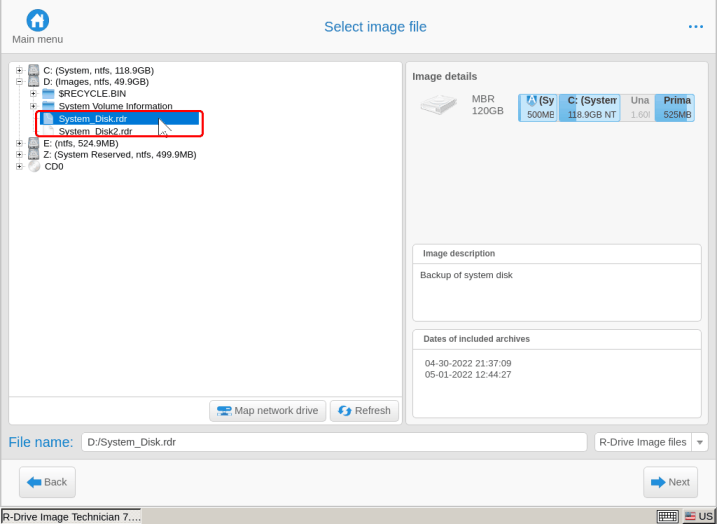 R-Drive Image will start recovering data to the system disk. When the process is complete, a message will appear notifying you that the Operation was completed successfully. Now we've finished recovering our system. Let's restart it into the recovered system. 1. Click the Exit button on the Select an action panel. 2. A warning about system restart will appear. 3. Remove the startup device and click the OK button. Your computer will restart into the newly recovered system and you may resume use of your machine. As you can see, the entire process of backing up your system and restoring your system from a disk image is a relatively quick and easy. The wizard-style user interface walks you through each important step to ensure that all parameters are correctly configured. By using presets and defaults with R-Drive Image, you can streamline the process for quick, regular backups of your system. 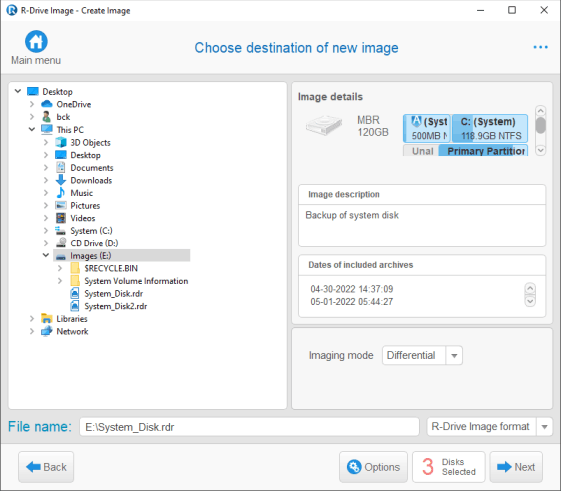 Because backing up your system with R-Drive Image is so simple, we recommend doing so on a weekly, monthly or quarterly schedule as well as before and after any major changes to your system. By keeping several instances of your machine backed up, you can ensure that all of your files are secured and stored completely without manually recovering each corrupted or lost file.